In our ongoing series of B.C. place names used in the Irving K. Barber Learning Centre, this week we will look at Fernie, B.C. Located in the East Kootenay region of British Columbia, Fernie is nearer to Alberta than it is to the rest of the province. Fernie’s main industry was and still is coal mining (the town is named after William Fernie, who started the coal mines in 1887) but today also includes tourism (especially skiing- Fernie made a bid for the 1968 Olympic games), transport and trade. Rare Books and Special Collections collects historic newspapers from across the province (and embracing the whole alphabet, from Abbotsford to Zeballos!). Newspapers are very popular amongst researchers as a way of understanding the important issues in other communities, in other time periods. 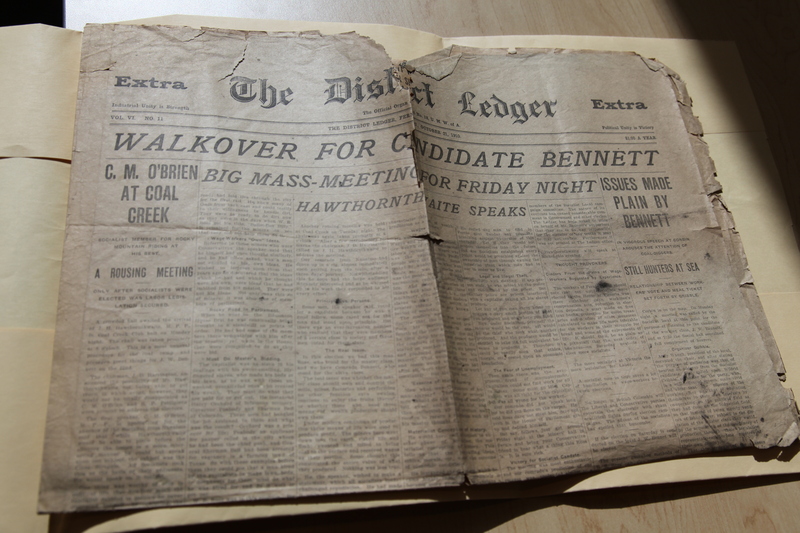 Newspaper digitization projects have frequently been funded by the BC History Digitization Program. For help on newspapers more generally, check out UBC Library’s Newspapers research guide. In the Barber Centre, the Fernie Reading Room is number 380, and is a study area for the use of students in the UBC Gateway Programs: Arts One, Science One, Coordinated Arts and Coordinated Science.